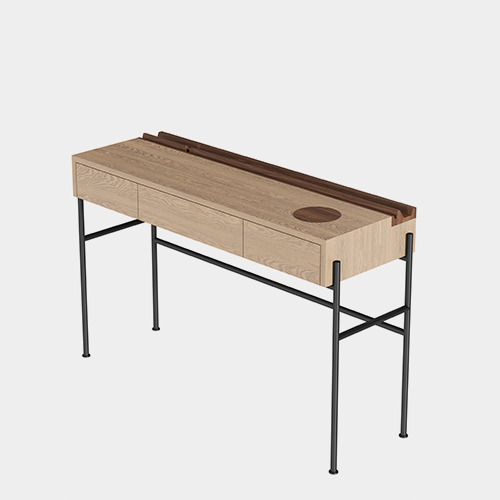 Lei is a multifunctional and ambiguous table which works as a multifunctional desk for him or as a dressing table for her or the other way around. Handcrafted in 100% solid oak with some details in American walnut, Lei gives the opportunity to beautify her day in the same space where she can work. The playful storage provides a mirror and multiple compartments for more sensitive personal possessions such as, photos, postcards, makeup and jewels.